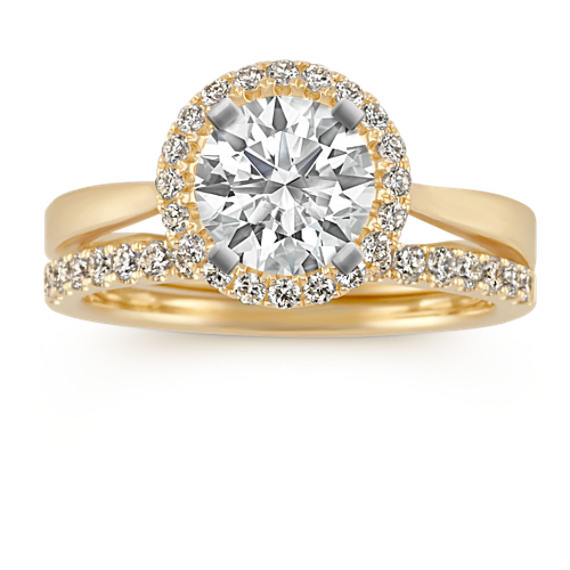 Halo Round Diamond Vintage Wedding Set with Pave Setting | Shane Co. This elegant vintage-inspired halo wedding set features 41 hand-selected round pavé-set diamonds, at approximately .45 carat total weight. Sparkling in a classic 14 karat yellow gold setting, this set serves as the perfect backdrop to the center diamond of your choice at approximately 1.00 carat.